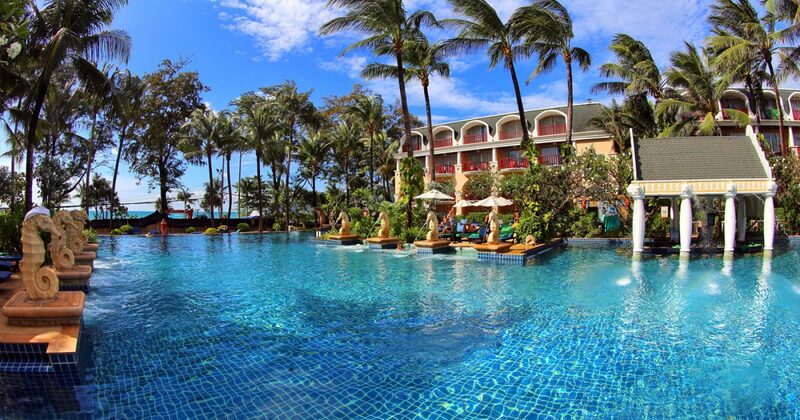 Phuket Graceland Resort is one of the largest hotels on the island with a staggering 600 rooms. 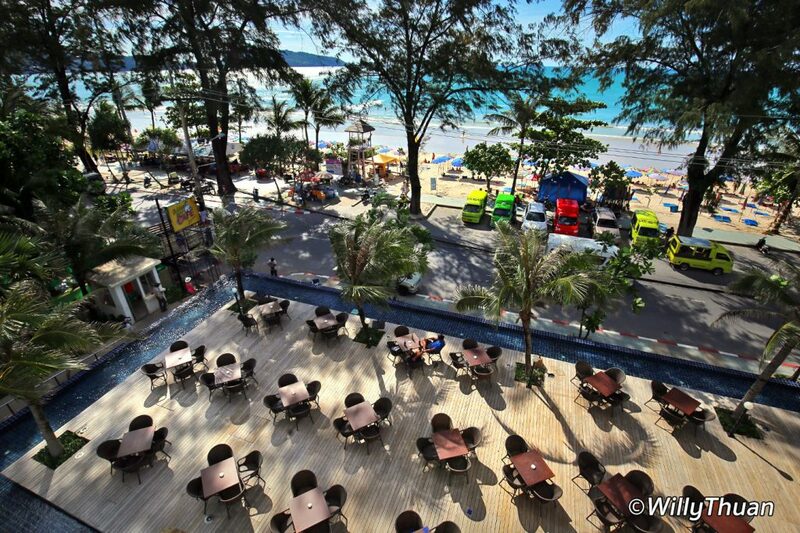 The hotel location is quite unique as not many hotels in Patong have the privilege to be so close to the beach. In addition this part of the beach is one of the nicest with a clean white powdery sand. Not far from the hotel you will find plenty of fun street food, including the ever popular Nutella/banana pancakes (yes we know, it’s actually called ‘Roti’). If you walk in the opposite direction of the beach you reach the main street with even more shops, restaurants and of course massage! 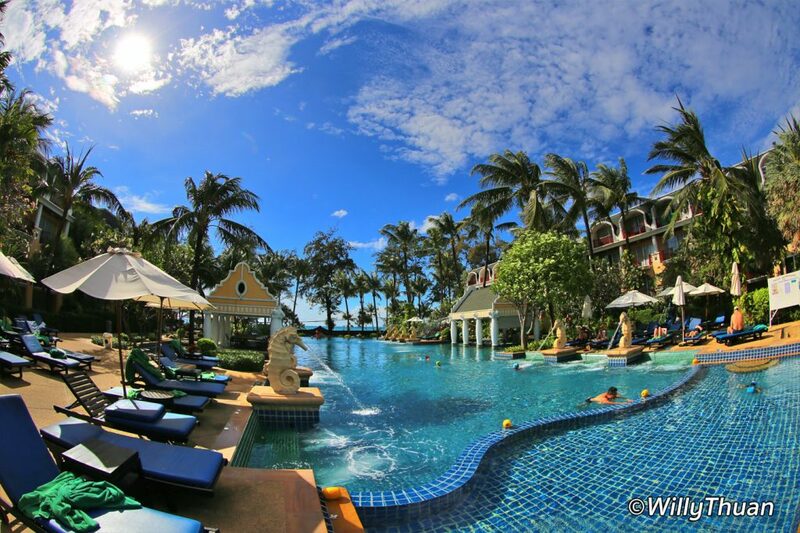 Phuket Graceland Resort is a huge hotel that manages its size well, divided in several parallel wings, each with its own pool, plenty of grass and beautiful coconut trees. 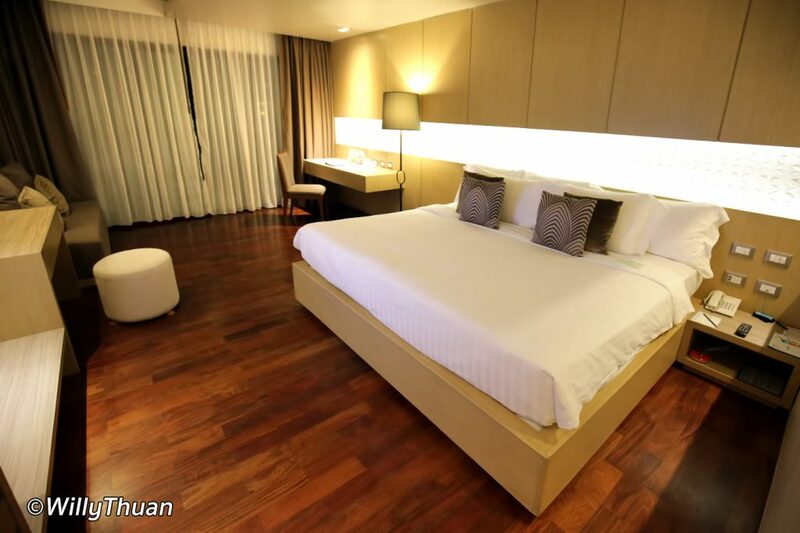 The hotel is just a little more than 10 years so it is not what you would call a contemporary design. Some wings were renovated and offer more modern rooms so try to ask for those. The immense lobby is a bit dark and starts to show its age, maybe they should consider a renovation. Accommodating the guests of 600 rooms obviously also requires immense restaurants and Graceland has many of them. Sunset Restaurant is in the back of the hotel. 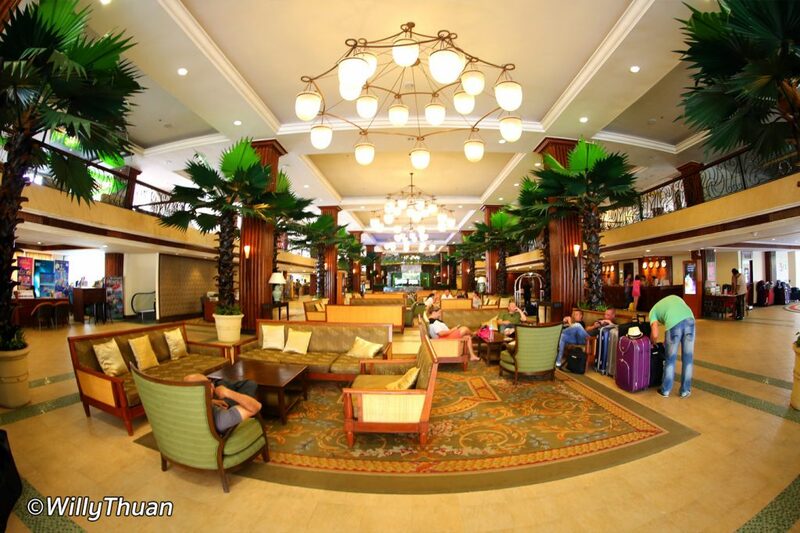 Bualuang is the largest where you get you will get your breakfast buffet as early as 6 am. The most popular restaurant is the Belgian Beer Cafe by the beach, with a terrace in front and even a little rooftop above! 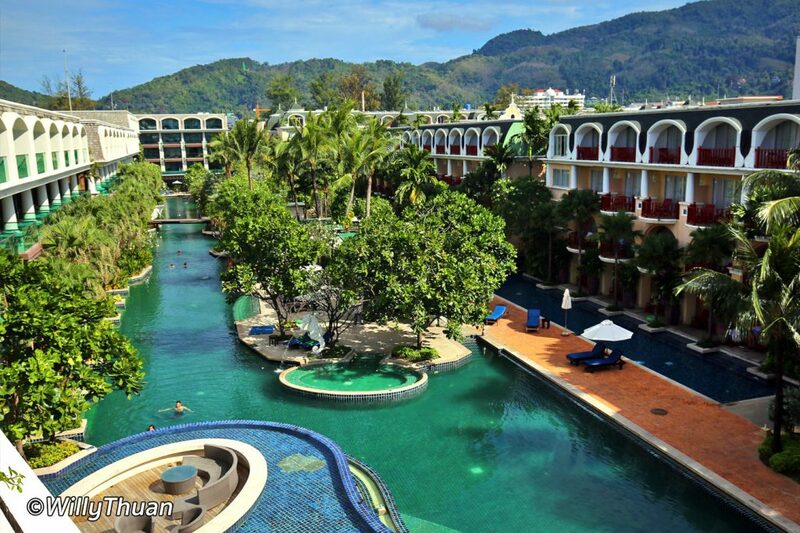 The immense main pool comes with a swim up pool bar… always a great place to be after a day on the beach. The room we stay at is large and well designed with a good working station and enough plugs to get everything charged at night. The bed is superbly comfortable and a large sofa is also very convenient. Bathroom as a large bathtub and all the usual amenities. Rooms come with mini bar and safe deposit box too. The 2 loungers on my terrace were mismatched and a little rusty but they did the job they were designed to do: to get comfy at then end of the day with a cold glass in hand. On the downside, the live band from the Belgian Beer Cafe was a little too close from my room and played until midnight. It might not seem to be a real problem to some customers, unless you have to wake up at 5.30 am to get a speedboat to somewhere. 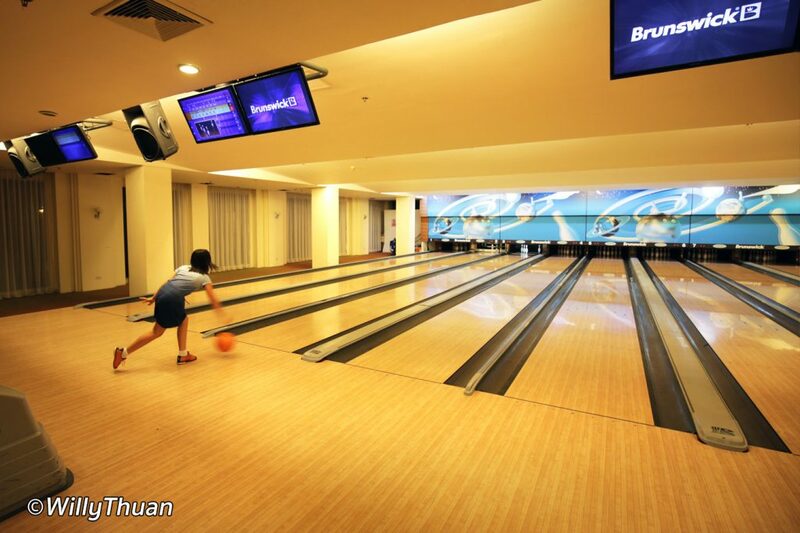 Apart from the immense swimming pools, one of the well-known fun feature of Phuket Graceland Resort is a 8 lanes bowling you can use anytime until midnight. That is pretty unique, especially if you have kids. 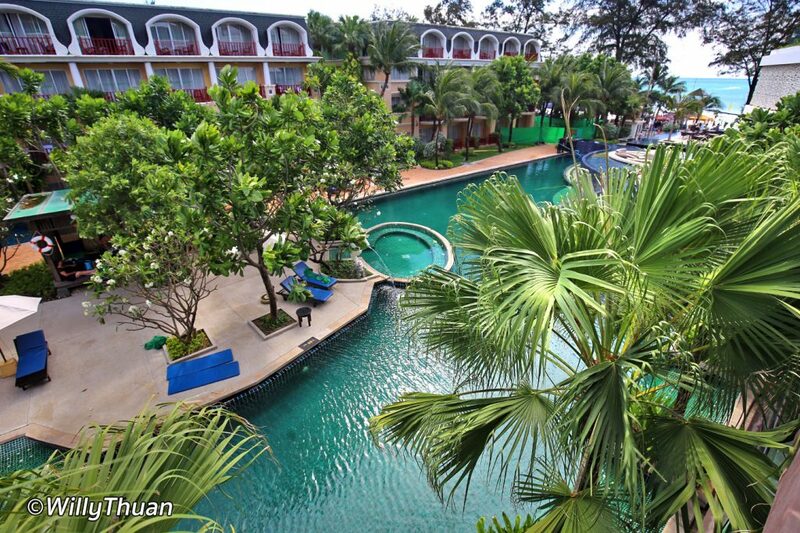 So overall Phuket Graceland Resort has a lot of positive points and a few negatives, just like most mid range hotels. Some travellers didn’t like it but most loved it. 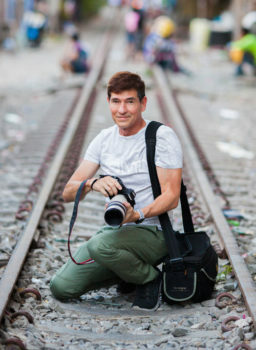 It is a good hotel at the right price in a great location.